The resources found in this download is only usable in RPG Maker unless you have the artist's permission and is not an edit of RPG Maker resources. We don't allow the resources to be redistributed anywhere else. If you want to share it, please direct them here instead! Thank you for your patronage. 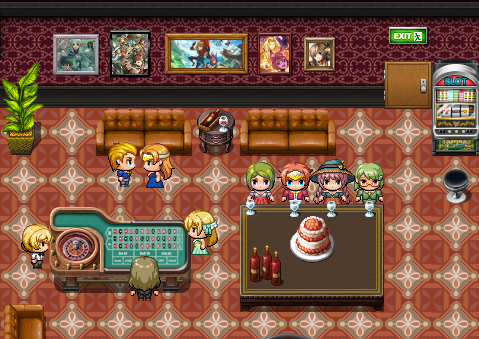 Happy 28th Birthday RPG Maker! Did you know? RPG Maker was released February 8, 1990? In celebration of this beautiful engine's creation, we want to share some resources for everyone to use! 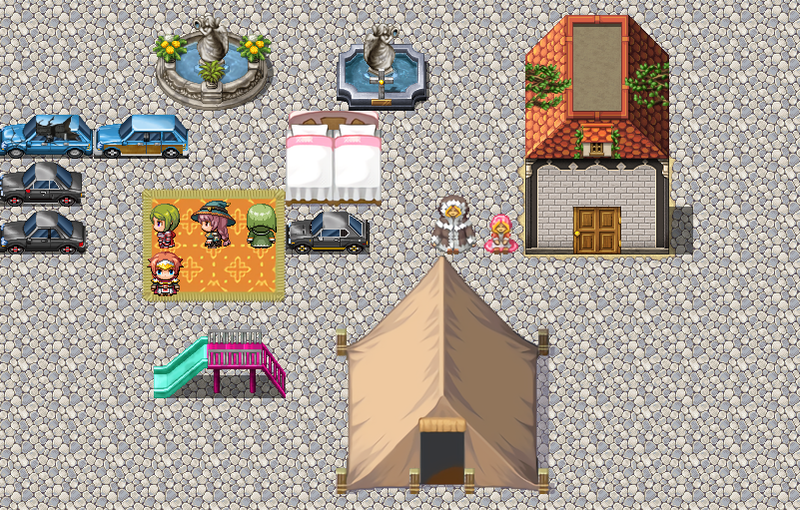 Avery has recreated some RPG Maker assets to RMMV friendly format. This includes the gate from one of the title screens, elementals from previous RMs like XP and VXA. Succubi, Medusa and so on! She even included a recreation of RPG Maker XP fire cave as a homage! 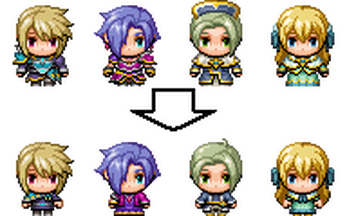 hiddenone created kid versions of Actor's 1 and 2 from the RPG Maker MV roster! A character theme by Scythuz! Fitting for a female/warrior paladin! Do you like 16x16 graphics? Do you like Rm2k/3? This one is for you! Liberty made a collection of sprites, tiles and windowskin graphics for you to enjoy! JCBrickston just provided us with 12 old school sounding tracks ranging from somber to upbeat! Enjoy a plethora of gala dresses with some various sleeves variants by slimmmeiske2! Always wanted to show off our MV heroes in fancy parties but they look like scrubs? With these outfits, now you can! We have 7 awesome tracks reminiscent of maybe Cyberpunk or even Post Apocalyptic by DesperateMeasurez. It seems that Secret Service Agent, pretty boy Leon Kennedy is tired of fighting zombies IRL and decided to take up RPG Maker. Enjoy a plethora of MV compatible tilesets and cars for use! We finally close off this ReStaff Release with a ton of resources by whtdragon! She created assets from 2k3 -> MV such as Rm2k3 Pirate Girl to XP style, New tiles, Animals, Elderly People, Kids and so on! Sharm and Whtdragon created templates for the RPG Maker 2003 style!